Killer bees are one of the world’s most aggressive insects, and become extremely irritated very easily. Whether it’s a high pitch sound, the sight of dark clothing or a noticeable scent in the air, killer bees highly defensive nature keep on guard to attack any living thing – from livestock to humans in swarms – anytime! The only way for people to protect themselves from the attack of these potentially deadly insects is to have them removed. But this is not something you want to do yourself. 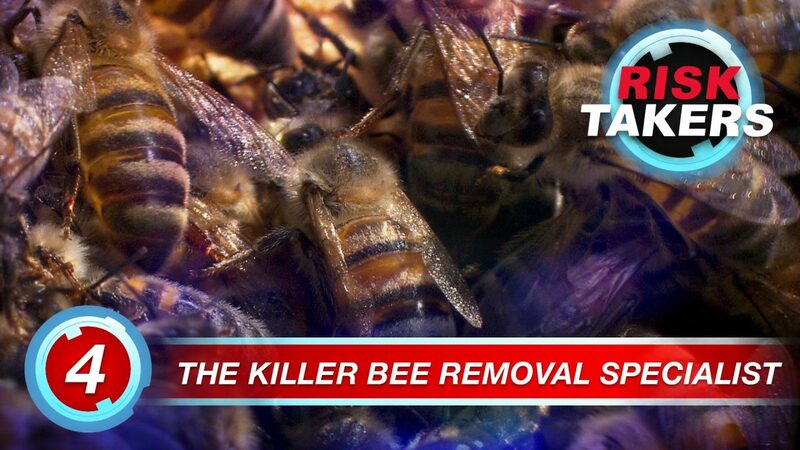 You need to call a professional; you need Reed Booth – ‘The Killer Bee Guy’! The threat of killer bee attacks in Arizona is very real. There are over 5 million Africanized hives in the state alone – which keeps Reed a busy guy. Responding to as many 8-10 calls a day, this ‘killer bee guy’ is in constant demand. Whether its getting rid of a cloud of swarming bees in someone’s backyard or a hive in someone’s barn, Reed is willing to climb trees, go through walls or slide under trailers to get at the problematic insects with only his bee suit for protection!